Developing the perfect language translation tool has been a difficult challenge for the scientists, researchers, entrepreneurs and others alike for quite some time. Google has made some lead with its translation services but when it comes to AI based speaking almost everyone comes out as robotic voice which can be easily differentiated from a human voice. Google has developed a new method which will aid developers in training neural network to produce realistic speed with Tacotron 2. This Tacotron 2 will help in bringing realistic kind of speech to the translators through analysing the text and even without the need of any grammatical expertise in the said language. This method is making use of two different speech generation projects namely the original Tacoron and the WaveNet. During the early days WaveNet left everyone speechless by offering eerily convincing speech but with one audio sample at a time. This was a great achievement but it wasn’t effective when it came to language translation or text to speech translation objectives. 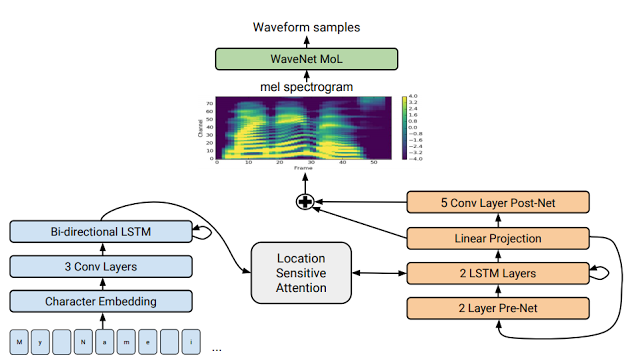 In order to get into the world of voice generation WaveNet had to accumulate a great range of metadata relating to the every aspect of the language from the right pronunciation to the key linguistic features. But this problem was overcome with the launch of the first Tacotron which helped in getting high end linguistic feature absolutely but it wasn’t the best enough to be used directly in the speech products of the time. The Tacotron 2 makes of both the pieces of text and narration in order to get to the right way that particular language is spoken by the natives. In short it specifically calculates all the linguistic rules which might apply to the given text in order to render a human like voice. In essence this method helps in converting the text into very peculiar Tacotron style mel-scale spectrogram which helps in identifying the rhythm and emphasis. It shouldn’t come as surprise that the words are formed using this WaveNet style system for better realistic appeal. The resulting speech with Tacotron 2 is extremely convincing as a realistic human voice but it always happens to be quiet chipper than the usual. This technique of Tacotron 2 still have a number of shortcoming to overcome before it renders human like voice for language translation in the future. Researchers have stated that this technique faces immense difficulty when it comes to pronouncing difficult words like decorum and merlot. In some cases it freaks out by generating some really eerie and strange noise. The second major shortcoming with this technique is that it isn’t able to translate and generate voice in real-time. Thirdly researchers can’t even control the tone of the generated voice or compel it sound happy or sad. But rigorous research is being undertaken by the team to overcome these challenges on the Tacotron 2 and bring the worlds first realistic voice generator to the masses. Google’s Android has been on the mission of bringing advanced and optimum computing to everyone. In its bid Google has been successful in establishing the Android Oreo to over 2 billion devices all across the globe. It has the highest amount of Android users in India rather than in the Unites States of America. 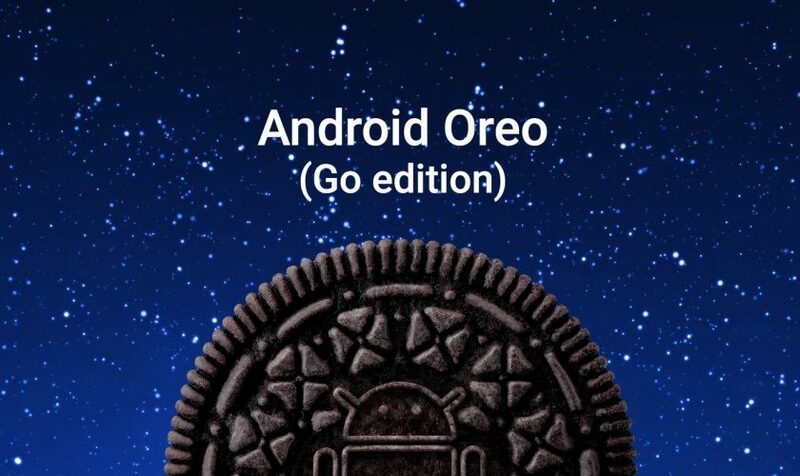 The recent rise in the shipment and adoption of the low cost smartphone with entry level specification has prompted it come with the Android Oreo (Go Edition) OS. This edition of OS brings the best of Android with new and rei-magined apps which can run smoothly and crisply on the lower end affordable Android smartphones. The OS: It brings vast improvement on the performance and storage front along with data management features and high end security benefits. Core Google Apps: Google brings a whole new set of its core apps with lighter design and equipped with relevant features to satisfy the needs of billions. Google Play Store: A tuned and optimized version of Google Play Store will allow users to download and install apps quickly. Google main focus is performance and agility on the Android Oreo (Go Edition) which can run flawlessly on the entry level smartphones. For an entry level smartphone it is necessary to offer such an operating system which brings faster and reliable performance. With this new OS entry level phone owners will be able to see a definite 15 percent faster performance of their apps which wasn’t the case earlier. Apart from the speed this OS also offers a range of customization which can help in boosting the overall performance of the app and OS as a whole. The major issue with the low cost smartphones is that it has a pathetic low storage space which is used by both the OS and the preinstalled apps. It is highly frustrating for the users to squeeze in more space to upload all of their music, photos and apps. Secondly the core Google apps are preinstalled on this OS and they tend to take 50 percent less space. Android Oreo (Go Edition) comes with Google’s data saver which helps an average user in saving more than 600MB data per year. It helps in saving more data through actively managing the background data usage by different through controlling how data is used specifically. From someone’s grand mom to their aunty we have all used emojis or know what they are. Before that there was clip art, which was everyone’s favorite tool to use. Google has now taken digital art to a whole new level. Google has created Poly, which is a platform for 3D art. Have you ever wondered about the objects that can be viewed from various angles in a game and how they came to be? They are all digitally created by putting in a lot of time and effort. Now with Poly all that is not necessary as Google now allows users to get the object they are looking for directly from their new version of clipart:Poly. Google initially thought of Poly for virtual reality and augmented reality worlds. But the site can provide for a host of other uses as well. Poly is the new form of Clip art. Poly is a library of 3 D objects where you can find everything from a 3D burger to a 3D cat. There is even a search bar which yields multiple results for items that are looked for. Google’s Poly is a library of 3D art created by various artists commissioned by Google as well as what users can upload themselves. Some are open for common sharing while those for AR and VR apps are rights- protected. By downloading 3D objects in this way, app developers are able to bring down the risk and cost in making their apps, not to mention this move will essentially lessen the time it takes to make an app. Google Clip Art takes objects that are created on Google Blocks and Tilt Brush. If you want to incorporate a 3D object into a scene in VR, you can also use Google Blocks or Tilt Brush to do the same. In the future Google plans on allowing third party apps to have access to Ploy which basically means that AR or VR apps that are yet to be created can directly import 3D objects from Poly into their apps. At present since these are just the initial stages of the 3D platform, Google is taking things slow, the money aspects of the 3D objects library will come later. The whole idea in creating Google Clip Art is to create a platform where VR and AR app developers can use to create their virtual worlds. Without objects to fill in those worlds whether it is a building or the area’s denizens, those worlds will not really exist. Right now the worlds of AR and VR has not really taken off in the market but as with clip art, google is testing the field and who knows maybe in the future this step may seem to be a good strategic decision for Google. Google Clip Art also creates new direction for other companies in creating their own platforms, not to mention the ease with which VR and AR app developers will have in making their own apps. While it is true that with the new update of its operating system, iOS 11, Apple promises to improve the user experience on the iPhone, iPad or iPod touch, it is normal that during the download process there are some problems. 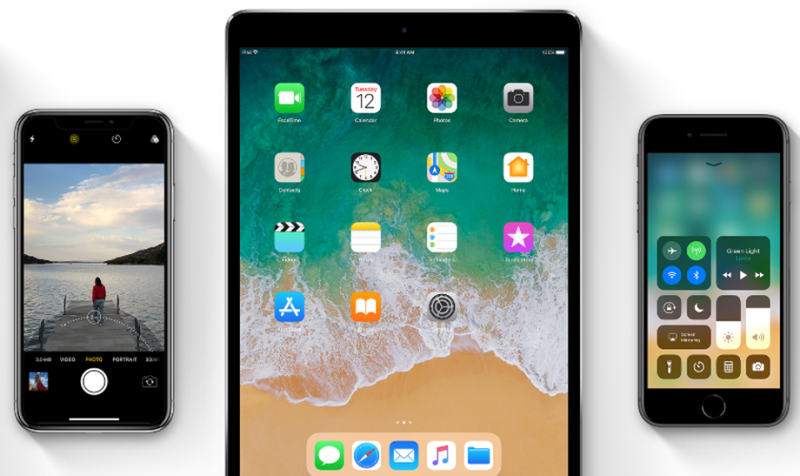 Recently Apple has officially released the iOS version 11.0.1 of the mobile operating system for iPhone, iPad and iPod touch. And now, the company has just released the first beta version of iOS 11.1. After the company released this version, some users have reported on social networks delays in the update as well as errors in the operation of the system. 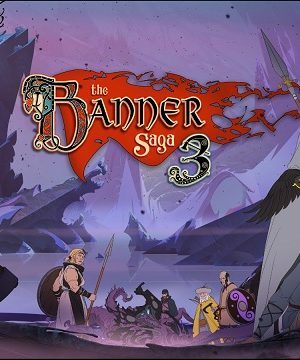 It is common for long terms to be presented at the time of downloading in the first hours, taking into account that the update is launched worldwide, so that servers tend to become slow due to the amount of demand. While iOS 11.0.1 focused on bug fixes and stability improvements, iOS 11.1 will bring great news with small features and features for iPhone and iPad. As iOS 10.1 did with Portrait Mode. In this article we will talk about the official launch of the first beta version for iOS 11.1 developers and we will tell you how you can download and install the software on your mobile device. There are many features of iOS 11 that did not come with the release of this version of Apple’s mobile operating system. Therefore, it is likely that iOS 11.1 finally offers Apple Pay mobile payments in iMessage and iCloud support. In addition, Apple is expected to add new emojis very soon. According to the details of the iOS 11.1 update, this beta release will provide some improvements in ARKit, TrueDepth, storage and Location services. On the other hand, push notifications will be processed more frequently. Likewise, some users have reported slowness when using the ‘apps’ and inconveniences with sound, with the redesigned App Store, as well as the operation of Siri. This type of errors also tend to occur at the beginning and Apple is expected to make the correction, very likely, with an update of iOS 11.0.1. We will update all information as it becomes available. If you want to download the first beta version of iOS 11.1 you will have to go to the Apple Developer Center. If you are not a registered user, you will have to register through a few simple steps. Next, you can download iOS 11.1 from Settings> General> Software update. Anyway, Apple is expected to publish the first public beta version of iOS 11.1 this week. iOS 11 has marked a before and after in the internal software system for iPhone and iPad. It has a high level of customization, all kinds of new features and multiple improvements in its native applications. What do you think about iOS 11? The present generation tends to have a keen interest in music and to add audio to video, background music has the tendency of providing a dramatic effect on any awareness of a video irrespective of it being a movie or a video presentation. To make this presentation more appealing one could seek the services of Movavi which tends to provide easy reliable multimedia software for this purpose. 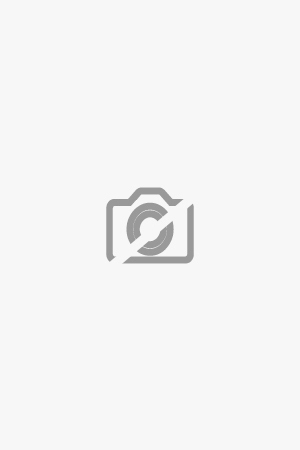 The provider has an extensive assortment of multimedia program to provide entertainment with the videos, music and photos on any platform or device. 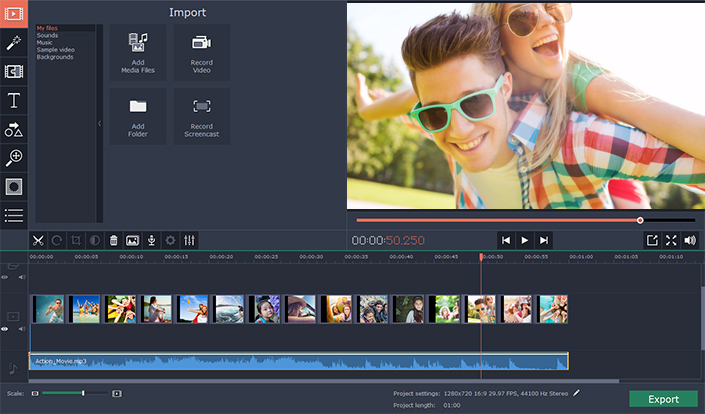 In order to enhance the creativity, processing and sharing the media content they have designed easy-to-use and effective software for Windows, Mac, iOS and Android.You could utilise Movavi video editor wherein you could edit and enhance the videos with ease with the addition of stylist transitions, filters and titles. Beside this you could also stabilize as well as reverse video, equalize the sound and much more. The software for Windows as well as Mac OS enables the user to augment soundtrack in MP3, WMA, OGG or FLAC format to MP4, MVI or other format video which can be saved as a new folder. Their main proficiency is seamless video conversion to all well-known multimedia layouts. Producing video has now become quite easy wherein editing video images, clips and audio can be done on a timeline with the addition of transitions, titles, filters and callouts. Besides this one could also utilise special effects such as Chroma Key together with Slo Mo and the video can be exported in any well-known format. 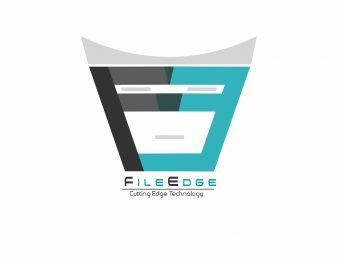 Besides the 20 standalone applications, they also tend to offer total multimedia suite, comprising of tools for the purpose of video conversion, PC screen capturing, video editing and playback, online sharing together with disc burning. The Movavi Video Editor is an all-inclusive video editing software which enables the user to develop professional-looking movies together with slideshows on the desktop even for one without any experience. One can do anything with one’s video while incorporating audio to video, create text captions, apply graphic effect and transitions. 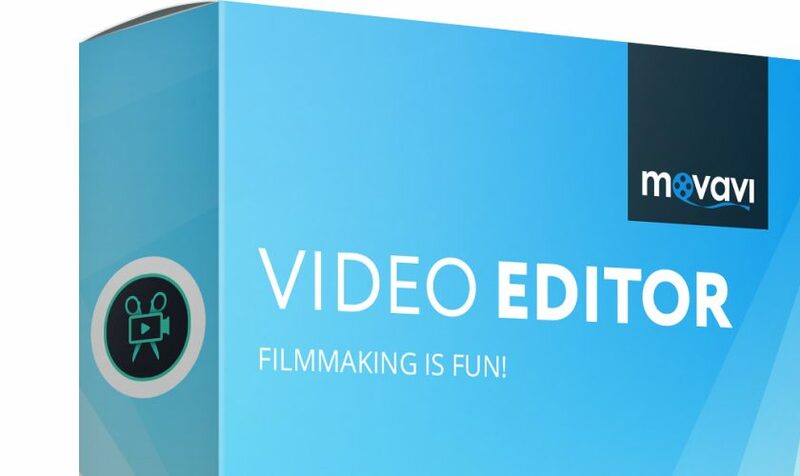 Besides the video making app, the Movavi Video Editor also tends to include numerous useful tools to support each producer of video with powerful video apps that helps more than 180 media formats, with convenient utility for burning DVDs, special tool for digitizing analog video and much more. Produce and edit a movie from video or from audio clips which has already been stored on a desktop, mobile device or a camera. Capture video from a screen and also prepare a video tutorial. Improve the quality of video – Alleviate unsteady video, nip colour settings sharpen blurry video etc. 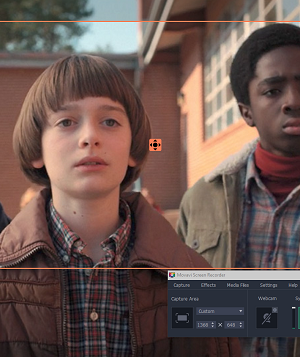 Overlap creative filters such as Robot, Echo, and Radio etc. All the essential guidelines and information is made available at the site for interested viewers. Whenever Google releases the new version of the Android OS then a number of users opt to root their device. Rooting devices isn’t an impossible task for those who know it but it always bring one common problem which relates to enabling the rootless system-wide theme support. This particular aspect was earlier managed using the easy-to-use CynogenMod Theme engine but its demise has brought this task in the hand of the Substratum theme framework. In the past couple years the team behind Substratum has done an incredible job of bringing support for the widest range of devices. This support has been specifically done on the ROM level which will ensure that users will be able to run its frame without worrying about the root access. Just before the launch of the Android Oreo this team gave themselves of bringing a rootless system-wide theme which can be implemented on any Android device. In order to make use of the Substratum ADB shell users will be required to make use of its desktop application which happens to be quite light-weight and simple. This application will help in granting elevated privileges to the Substratum which in turn allows user to manage the installed Substratum themes on their device. The best thing about Substratum is that all the themes will remain installed unless a user wishes to remove it by uninstalling. While working with Substratum users should keep in mind that the privileges granted to it are transient in nature. In other words all the privileges to Substratum will be lost upon performing a full reboot. This means that users will have to again go through the whole process of running the desktop program, adding, removing or modifying the Substratum theme. Users can certainly make use of the different themes present in the Substratum by going to the Setting followed by Display then going to the Developer Preview’s theme option. This is the best way to switch between different rootless system-wide themes with ease and simplicity. The rootless system-wide theme offering Substratum will make its debut on the Android 8.0 devices which currently only includes the Google Pixel and Nexus variants namely Nexus 5X, Nexus 6P, Pixel and Pixel XL. These devices will be making use of the Substratum within less than a week but it isn’t guaranteed by the developers as it is still under the development process. At the moment Substratum team is only working on developing the interface exclusively between the Substratum app and unrooted devices. Development of Substratum app has been taken joyously by the Android enthusiasts but sadly this app will debut as a paid application for the unrooted Android Oreo devices. Pricing has been kept under the wraps by the Substratum team and it will be better to wait for the Google to come with a dark theme for the OS or else users will have to spend some dollars for the app. 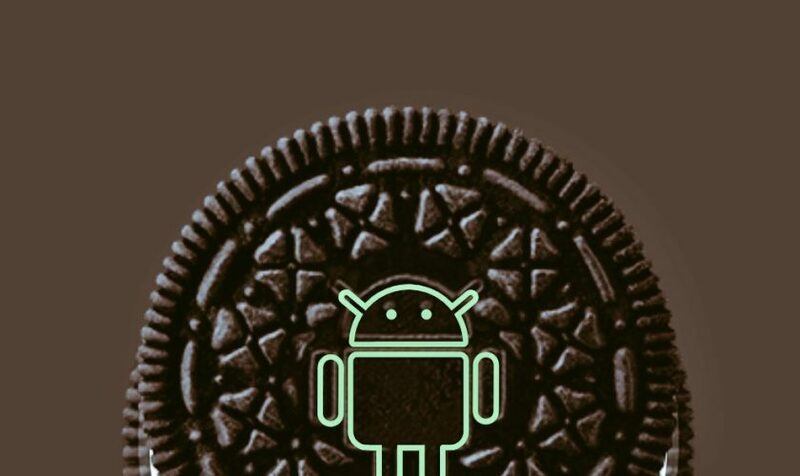 Android Oreo, which had been dubbed Android O all through development is said to be the 8th main variety of the Android mobile operating system. It had been released at first on March 21, 2017, as an alpha quality developer preview. 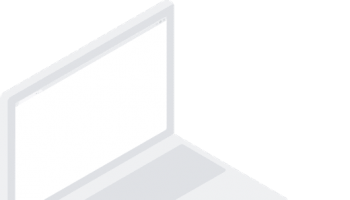 On May 17, 2017, the 2nd developer screening had been released and it was considered beta quality while the third developer preview had been released on June 8, 2017 and eventually the API.. The fourth developer preview had been released on July 24, 2017 that comprises of the concluding system behaviours together with the updated fixes and optimizations. Google had launched the latest version of its incredibly well-known operating system – Android 8.0 Oreo earlier this week at an event in New York City. The launch tends to follow months of beta releases together with tweaks from the US technology company. Android Oreo comprises of a swing of twists with slight developments to the smartphone as well as the tablet operating system. 8th main software restatement is said to feature notification dots on app icons, picture-in-picture video playback together with autofill to securely and quickly enter passwords as well as other personal details in website format. 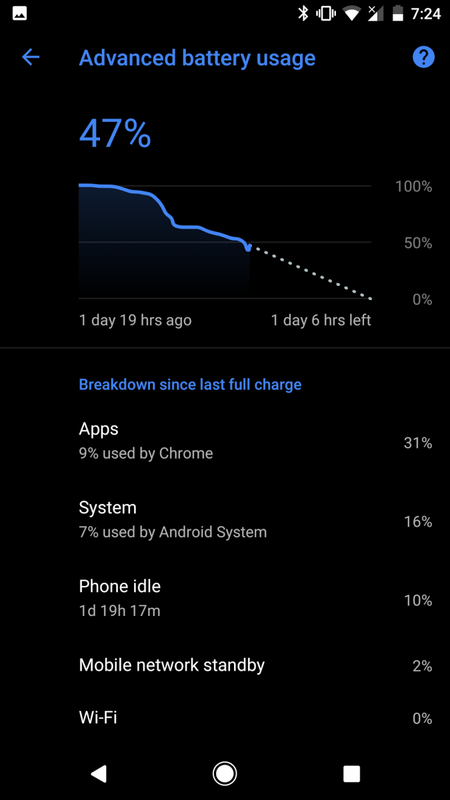 Oreo also tends to limit background apps from draining the battery in order to support more usage from every charge. Google has totally renovated its emoji design, scrapping the Flubber-like spots in preference to round design closer to the ones seen on the iPhone. But to a certain extent, inspite of the launch in New York City recently one would not find an outstanding updating coming up on your Android smartphone. After the release date, Google has pressed Android 8.0 Oreo out of the developer preview and public beta and in its Android Open Source Project. This has made it possible for third-party Android smartphone manufacturers like Samsung, HTC, OnePlus, HMD Global, LG, and Huawei to begin functioning on the operating system for their individual devices. 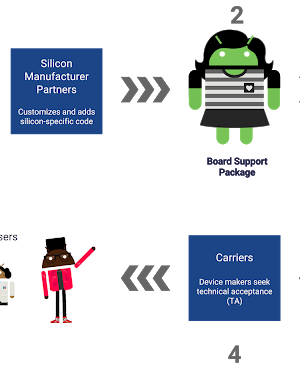 Different manufacturers of smartphone tend to operate on different timescales in rolling-out the updated version of Android to their hardware. The amount of tweaks to the design together with functionality of the operating system of Google could also decide how long it would take to perform on third-party devices. 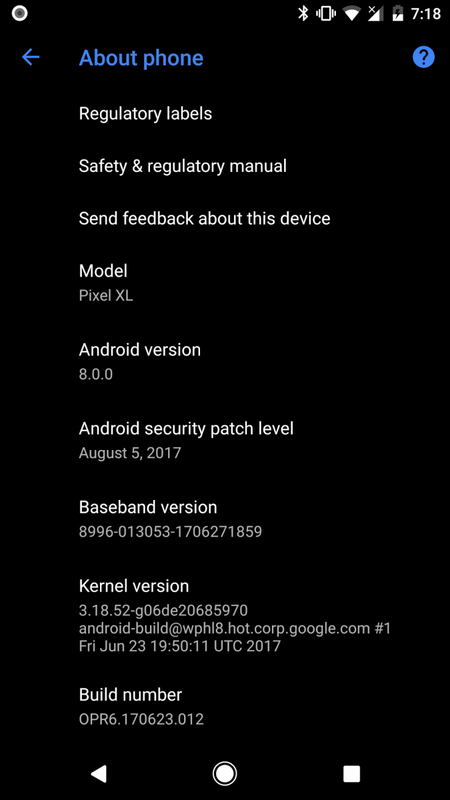 The California-based company, considering those running Google’s own hardware such as the Nexus 6P, Nexus 5X, Pixel C, Pixel XL and Google Pixel, has confirmed that Android 8.0 has come into carrier testing and the new operating system would be made available as an over-the-air update from the settings app in future. The ultimate version of Android Oreo would be pushed-out to users who have signed up to the program currently. Apparently Android 8.0 Oreo tends to be a refined upgrade and on investigating deeper it would come with some really important improvements precisely with regards to tangible performance, battery life together with security. It would be coming on all main Android smartphone released over the next year. For whom is Android 8.0 Oreo Now & In General? The answer to the first, as mentioned earlier is for Google’s own phone ranges and very soon for the upcoming Pixel 2 and Pixel 2 XL. However Nexus phones such as the Nexus 5 and Nexus 6 would not be getting it. The answer to who would be getting Oreo in general is based on third party handset manufacturers. All the up-to-date generation premium handsets would be getting Android 8.0 Oreo though how quickly is yet to be seen on various aspects. Each update tends to claim to have `Performance enhancements’. However Oreo tends to really have it. Boot times on Pixel XL went on from over a minute to about 15 seconds and apps are said to open up faster. Moreover there is an enhanced cache management with Oreo mechanically deleting cached data from apps if performance tends to get slow. This seems to be the main part of the Oreo update.Reducing on rogue app behaviour tends to make a difference to the life of the battery. 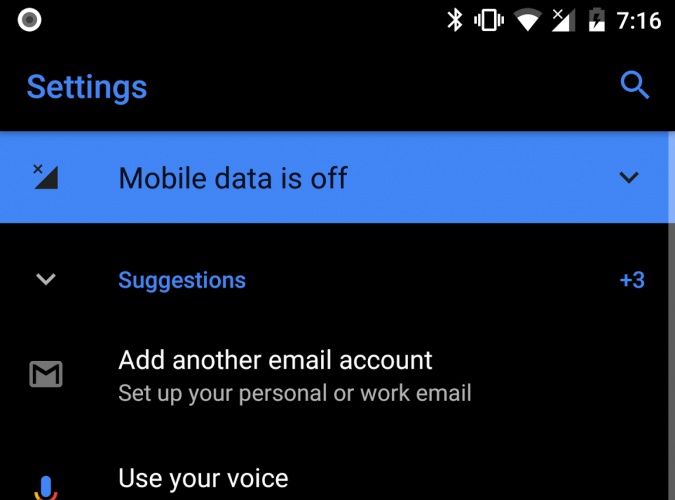 Notifications have been classified into channels enabling the users in customizing how they are seen, their related sound/vibration, if one would prefer specific notifications to be blocked and they could also be snoozed for whatever period of time, which seems to be an actually convenient feature. Icons in Oreo, identical to iOS, is said to have visual indicators for fresh content but they are dots, not specific numbers. Long pressing on these dots, one can view a preview of the alert and can swipe it away without going to the main notification bar which is mostly convenient for phones having huge displays. This enables video apps such as YouTube – with Red subscription, Duo, Google Maps, video in Chrome and certainly the likes of Netflix still tend to show video in pop-out window on closing the app with the home button. It is said to be a catch up feature since Samsung together with the others have provided the same for some time though the same is welcome nevertheless. Fresh new double tap feature in the camera take you to 50% digital zoom and a modernized UI having dedicated photo/video toggle buttons. Small though inventive renovation, it tends to add content suitable apps to selected text.Presently, for instance, together with a highlighted address would be Google Maps and a highlighted phone number would be the phone app and not just copy, cut etc. AAudio is presently the new low potential API which tends to support Android catch up with something that iOS seemed to surpass with. 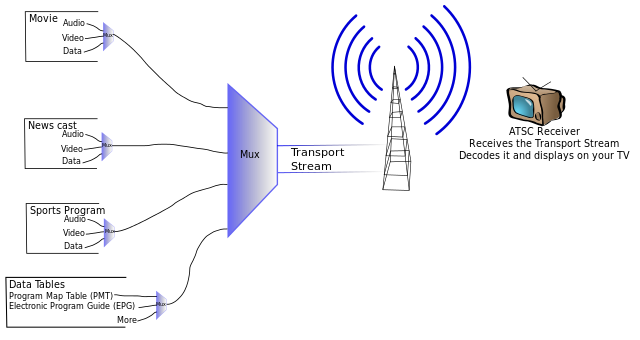 Moreover Google has also supplemented LDAC high bandwidth Bluetooth streaming protocol of Sony that is inclined to deliver CD quality audio via Bluetooth. The hitch is the Bluetooth headphones/speakers need to support LDAC and presently only Sony peripherals seem to do that which may change now. Oreo tends to make Android more integrated, separating third party handset makers’ customisation such as TouchWiz, from the core operating system. 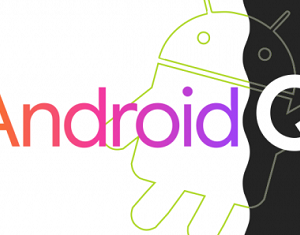 This could make it stress-free for handset manufacturers in introducing quicker Android improvements which will be a game changer should they tend to take advantage of the same. We often come across the term “old is gold” and many believe in that as well. Well, the same is the case with the Royal Navy of Queen’s fleet of UK which has built the largest ship till date. The most iconic and surprising fact is that Queen Elizabeth runs on Windows XP. The impressive ship can carry 1600 crew members. The latest vessel also has the potential to carry 40 aircrafts. 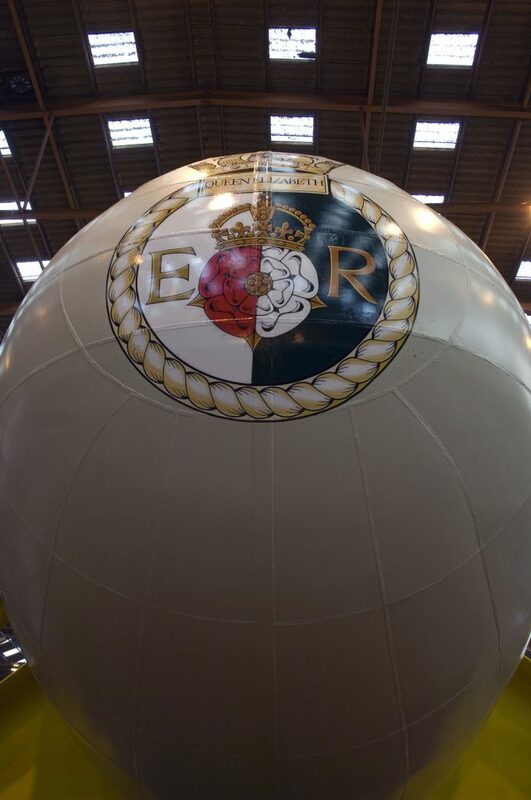 This new ship will strengthen the naval fleet along with the “Prince of Wales”. There are F-35 Joint Strike Fighters in order to add more strength to the fleet. The latest vessel has left its shelter last Monday. The recent reports state all the PC present on the ship are running the old operating system. People are wondering that why Windows XP are being used which was released way back in the 2000s. Microsoft has stopped selling this OS way back in the year 2008 and few years back it has also ceased providing updates. The media spotted the Windows XP during the carrier tour. The Windows XP had many glitches and faults so the end users opted for higher versions like Windows 7, 8 or 10. Recently the world became victim of the ransomware and the main target was the machines which was running Windows XP. Well, still the matter is not clear that how the Operating system of Windows XP are present on board of the latest vessel. There is a speculation that they might have been boarded the year it was being built. Well, the year of building was 2008 and unfortunately it is the same year when MS has stopped selling the Windows XP. With this OS, many controversies are also attached and the submarines dealing with nuclear weapons were also running windows XP. Despite the fact that the OS is old enough, the commander is confident that it won’t create a problem as they have right measures to counter hacking or any sort of cyber threat from the hacking world. The matter is not only weird but a bit shocking that Britain being one of the strongest and powerful countries of the world is relying on the older versions of OS when the company itself has stopped rolling any updates for the OS. The matter is really confusing that how can the naval fleet depend on such an old and obsolete OS when all the world has move to the latest versions of the Windows for using as the OS. However, we are getting to know that there is a team which is always present on board to counter any cyber threat from the hacking world. 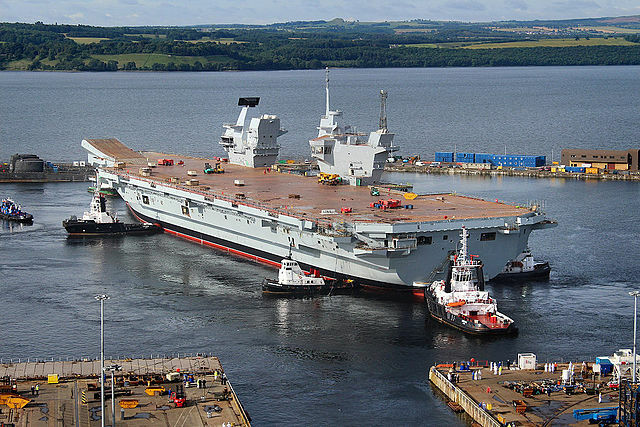 Well, this 3.5 billion Euro ship has so much to offer for Britain as it promises to serve for life time. However, the Defence Secretary General has a different say about this as he is pretty confident that the 16-year-old OS will not be the victim of any attacks from the cyber world. Microsoft has never failed to surprise and with its various innovations and updates, it has come up with newer strategies. The software upgrade has released a new feature of Autopilot through which, using a device right out of a box has become easier. This feature allows to release a huge set of data fork the cloud instead of dealing with single installation options. The goal according to Microsoft is to bring a magical and enthralling experience for every product to the user. Easing the operation as well as making it pocket friendly is the goal. 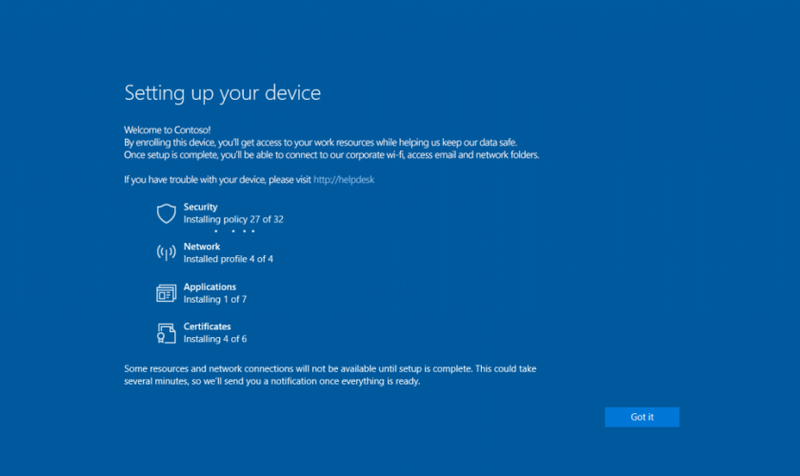 Deploying a device can be tricky, and to simplify this entire process, Microsoft has released this AutoPilot deployment feature for its devices. This makes the work easier without going through the hassle of Tech support and hours of customer updates. This AutoPilot feature is configured by the cloud storage option. 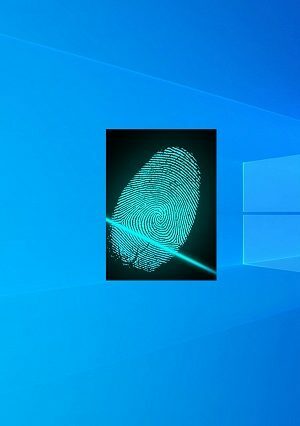 New Windows 10 devices have the ability to now let its customers to customize the device according to their own requirements, through cloud. It is both economical and smart. Cloud storage is perhaps the best feature of apps in the new generation, saving data which is crucial and personalising it too. Now you know that your data is safe and won’t get lost or damaged with your device. The AutoPilot feature works elegantly without a hitch in sync with a few other services available. 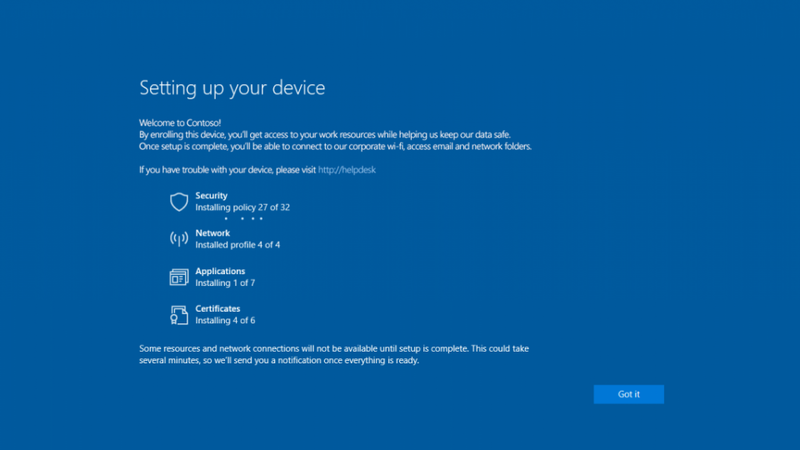 This includes Azure Active Directory and Intune mobile device management. The array of changes a normal device can go through is astonishing. That too based on the cloud data. The simple PC can now get transformed into a Business device with state of the art features like Office 365 apps and business related apps. OEM support will also be incorporated eventually with extra security options, for example the option of using Edge while usage of data during active performance. There is also a Device Health option, making it easier to monitor devices and it’s smooth functioning. Most of the tech support and IT companies look after the functioning of devices and the feature makes their job easier and faster. Said to be a legendary update with excellent reviews and updates, the AutoPilot feature will show it’s wonders slowly. The usefulness of the device along with ease of operation perhaps makes it so popular. Business will be booming soon as people choose options which are easy and less time consuming. No data lost in the process too, with every important data stored on the cloud storage. Not requiring to go through the hassle of Tech support is definitely appealing and business requires swift and smooth functioning with newer features like AutoPilot which makes the working of the device easier. The development of the AutoPilot feature is still under review and only time will say if it has to stay or develop onto another feature by Microsoft, bringing better changes.